Cost: Free, but donations are suggested. Join us for friendly games of ping pong (table tennis), the most popular racket sport in the world! Not only is it fun, but ping pong boasts many health benefits, such as improved hand-eye coordination, mental acuity, balance, and reflexes. It provides both aerobic activity and stimulates many different parts of the brain. 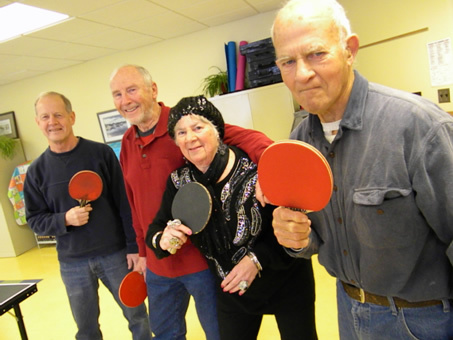 All ages and ability levels are welcome, we always hear lots of laughter coming from the Ping Pong room.